Please make your reservations at least 24-hours before your scheduled date of arrival. No same day reservations after 3. Please call 800.858.9642 or use the links below for Guest Stays between the dates of Jul 5 - 7, 2019. Please call 800.858.9642 or use the links below for Guest Stays between the dates of Oct 25 - 27, 2019. Valid April 1 - May 20th, 2019. Blackout dates: 4/11 - 14. People of all faiths and backgrounds enjoy the natural beauty and spiritual inspiration found at Satchidananda Ashram–Yogaville®. 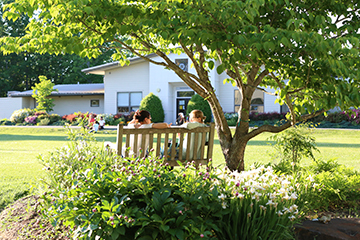 They come for many different reasons: to study and practice the teachings of Integral Yoga®, to experience the yogic life in a spiritual community, or to get a little rest and relaxation in this spiritual setting in the midst of the rural Virginia countryside. Be our guest for a day, an overnight stay, or for a longer visit. 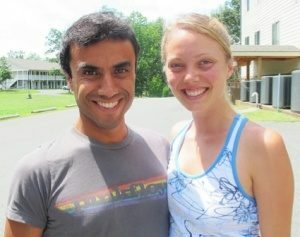 While you are here, take part in the vibrant and varied Ashram daily schedule. Our Welcome Weekend is a program from Friday-Sunday designed to help you experience, perhaps for the first time, the benefits of Yoga practices in your life. Our Guest Services staff look forward to meeting you and helping to make your stay as rewarding as possible.